Silver Lake Calfornia's Sunset Junction is the place to be. When people talk about buying real estate in SilverlLake, it used to mean "prime Silver Lake"- the area nearest the reservoir and the hills known as the Moreno Highlands. That area is still plenty popular but the price of homes there can be pretty high. 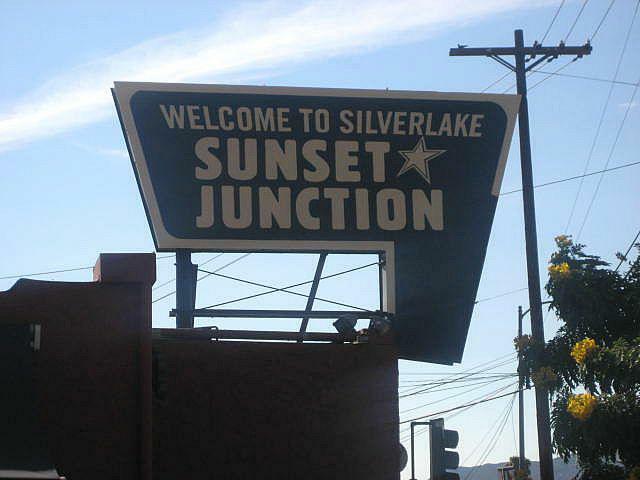 Over the past few years, another part of Silverlake known as Sunset Junction has become the hot topic. Sunset Junction is literally the place where Santa Monica Blvd. intersects with Sunset Blvd. 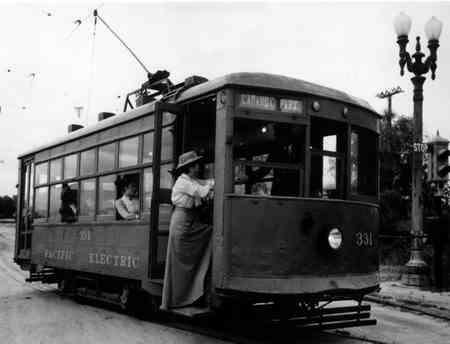 The name is a carryover from the days of the old Los Angeles "red car line", Pacific Electric Railway Company's passenger service. Rail service was discontinued in the mid 1950's but the Sunset Junction name stuck. Silver Lake visitors and residents alike enjoy the variety of shops and eateries for several blocks of Sunset Blvd in this area. Demand for homes within walking distance of Sunset Junction has increased dramatically in recent years, prompting the development of the popular live/work Lofts at 4111 Sunset Blvd. Less gritty than in past years, Sunset Junction boasts a large selection of cafes, shops and restaurants. The building that once housed a carniceria is now home to the Silverlake Conservatory of Music- a non-profit organization that offers reasonably priced music lessons and grants scholarships to children in need. In the same building you'll find the hip coffee bar, Intelligentsia with its outdoor tables and umbrellas, The Cheese Store of Silver Lake, and Café Stella, a lively French Bistro. Right at the corner is a shoe store called Kicks. This isn't your grandfather's Silver Lake! Housing south of Sunset Blvd and within a short jaunt to Sunset Junction has become increasing popular, no doubt due to the plethora of things to do and see in the area. Recently a storybook cottage at 970 Maltman garnered a lot of attention and received multiple offers within days of going on the market and last week a 3 bedroom, 2 bath craftsman at 1401 Edgecliff Dr. also collected multiple offers in just 4 days. It looks like Sunset Junction has finally come into its own.